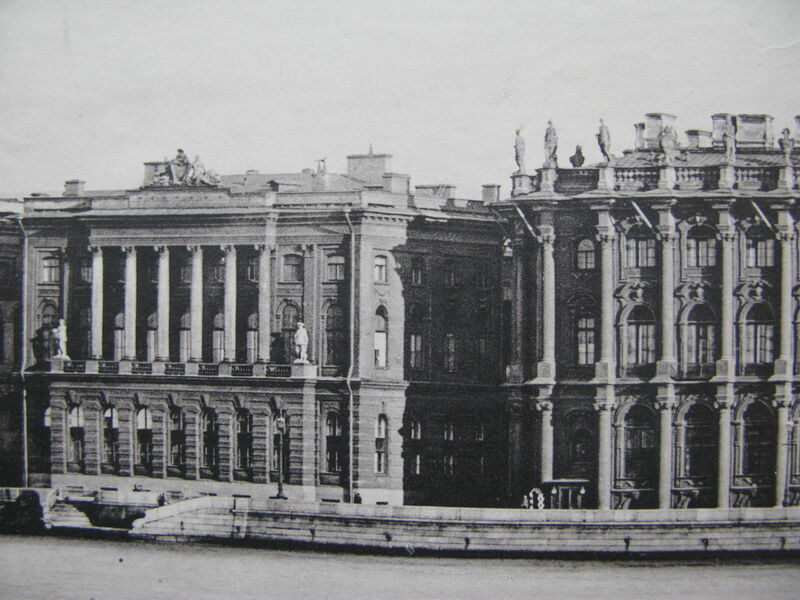 The photograph below (click to enlarge) of the northwest section of the Winter Palace facing the Neva River gives a close-up view of the 1st floor windows of Nicholas II and Alexandra’s children’s rooms, Alexandra’s drawing rooms and study on the 2nd floor, and the former rooms of Nicholas I on the third floor that Nicholas II used for guests. Do you see the small entrance where the emperor and empress would exit the palace? 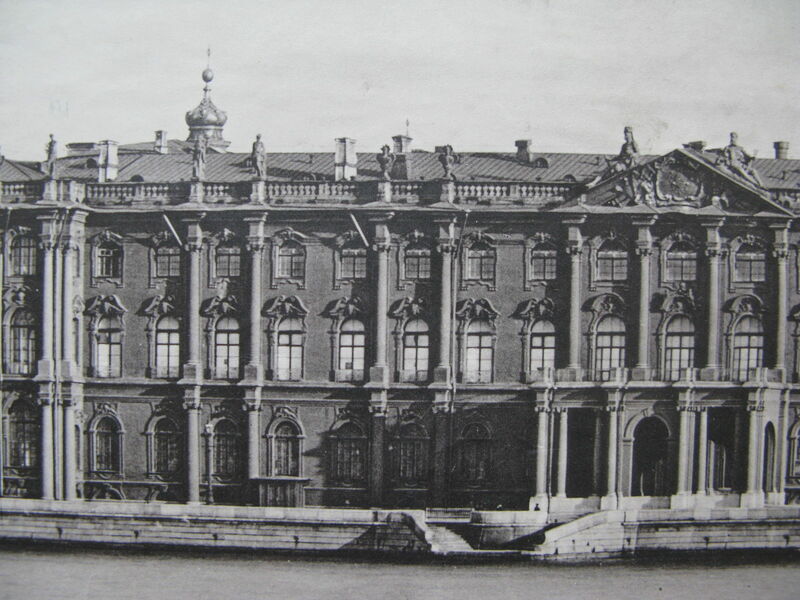 The photograph below shows the Neva entrance to the Winter Palace that led to the Jordan Staircase on the 1st floor. Above the portico is the Nicholas Hall on the 2nd floor. Do you see the small entrance to the left of the portico where guests i.e. 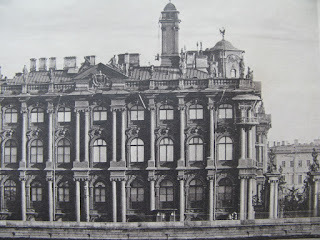 Crown Prince of Germany would enter the palace? 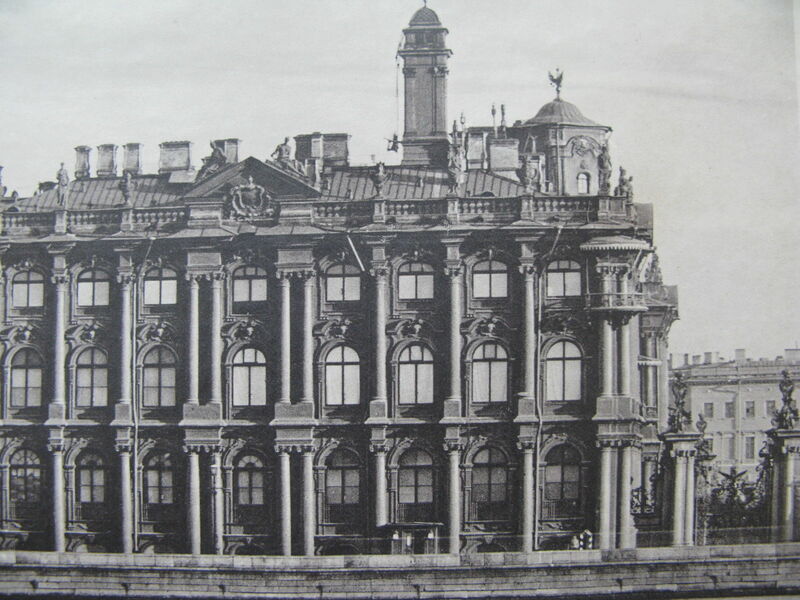 The photograph below is the northeast section of the Winter Palace where the Minister of the Imperial Court had an apartment on the 2nd floor and 3rd floors. Do you see the minister’s small entrance? 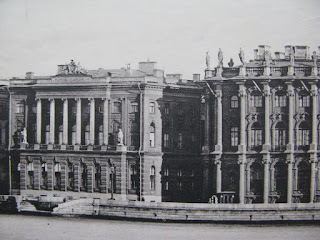 On the left is the Small Hermitage where the Director of the Imperial Hermitage had an apartment on the 1st floor. The Pavilion Hall is on the 2nd floor. I spotted all of the entrances but if you really weren't looking you wouldn't see them. The entrances were painted white c1840s, much easier to decipher. 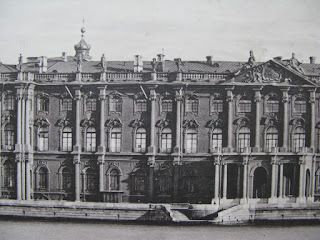 In the 1930s, some were still there.